African Americans have low total cholesterol but high heart disease – why? Although researchers aren't sure why, evidence shows that African Americans have a 30 percent greater chance of dying from heart disease than Caucasian Americans. But, according to statistics from the American Heart Association, blacks actually have better cholesterol levels than whites. The reasons behind these disparities are elusive, but researchers are getting closer to finding the cause. According to the American Heart Association, black men and women tend to have slightly lower total cholesterol levels than whites. The association reports that 44.8 percent of black men and 42.1 percent of black women have high or borderline high total cholesterol levels. By comparison, 47.9 percent and 49.7 percent of white men and women have high or borderline high levels. Black men did have slightly higher reported levels of LDL, low-density lipoprotein, the "bad cholesterol," levels. The association reports that 32.4 percent of black men and 31.7 percent of white men have borderline high or high LDL levels. Both black men and women had somewhat higher HDL, or high-density lipoprotein, known as the good cholesterol. 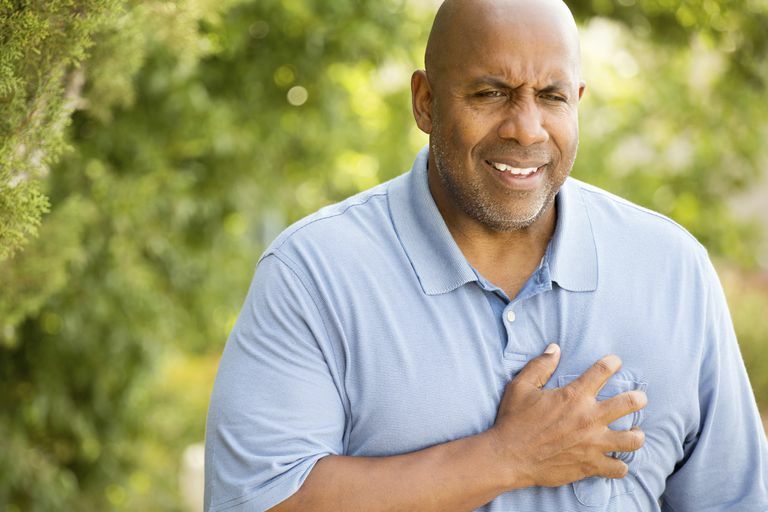 Despite the lower total cholesterol levels, researchers report that African Americans are still at greater risk of dying of heart disease. According to the Office of Minority Health at the U.S. Department of Health and Human Services, African Americans are actually less likely to be diagnosed with heart disease than whites. This may point to one of the reasons behind the disparity. Scientists aren't completely sure why some ethnic groups are at higher risk for cardiovascular disease, but they are certain that both genetics and lifestyle choices play a role. Your genetics influence how your food is metabolized and how much cholesterol your body produces. Cholesterol isn't just found in food; your liver actually creates about 75 percent of your blood cholesterol. Your genetic makeup can influence how much cholesterol is created and what your ratio of LDL to HDL is. Researchers are narrowing in on genes that may be the cause of high cholesterol, high blood pressure, and other cardiovascular disease factors, but they aren't there yet. However, other factors may be behind African Americans' increased risk of cardiovascular disease. Obesity, one of the most important predictors of cardiovascular disease is more prevalent among African Americans. According to the Centers for Disease Control, nearly 48 percent of blacks were considered obese in 2012. A similar CDC report found that 48.7 percent of African Americans had two or more risk factors for heart disease; compared to 35.5 percent of Caucasian Americans. The risk factors studied included diabetes diagnosis, smoking habits, sedentary lifestyles, obesity, hypertension and high cholesterol. Also, statistics from the Office of Minority Health indicate a healthcare disparity within U.S. hospitals. Research indicates that African Americans are slightly less likely to receive aspirin upon arrival at the hospital with heart attack symptoms, receive an aspirin upon discharge and receive a beta-blocker upon arrival with heart attack symptoms. Although the difference is slight, only a few percentage points, these statistics may represent a larger problem. It's also important to communicate with your physician. Experts recommend that men over age 35 and women over age 45 have cholesterol checks every five years if they do not have an increased risk of heart disease and high cholesterol. If an individual does have an increased risk, annual screenings are recommended. If your cholesterol is high, your physician can advise lifestyle changes and possibly medication to help lower cholesterol levels and overall cardiovascular risk. "Cholesterol Statistics." AmericanHeart.org. 14 Apr. 2008. American Heart Association. "Heart Disease and African Americans." OMHRC.gov. 27 Jun. 2008. U.S. Department of Health and Human Services: Office of Minority Health. "Minority Women's Health: High Cholesterol." WomensHealth.gov. Dec. 2007. U.S. Department of Health and Human Services. "Racial/Ethnic and Socioeconomic Disparities in Multiple Risk Factors for Heart Disease and Stroke -- the United States, 2003." CDC.gov. 11 Feb. 2005. Centers for Disease Control. Shin, Min-Jeong, Alka M. Kanaya and Ronald M. Krauss. "Polymorphisms in the Peroxisome Proliferator-Activated Receptor Alpha Gene Are Associated with Levels of Apolipoprotein CIII and Triglyceride in African-Americans but Not Caucasians." Atherosclerosis. 198:2 (2008): 313-409. So Is Fish Oil Good For the Heart or Not?